Heading to the San Diego Comic-Con? We are too! As is Sony, bringing with it the latest and greatest from two of its upcoming PlayStation 3 games, Uncharted 2: Among Thieves and Ratchet & Clank Future: A Crack In time. Sony Computer Entertainment America is holding two invite-only events and promoting two panels, revealing exciting new info about both games and giving us a chance to go hands-on with each PS3 entry again. Team members from Naughty Dog and Insomniac Games will be present at their respective panels and Q&As, with attractive Uncharted 2 cast members also available for pestering/cat-calling. Seriously, you going to Comic-Con? If so, official details are below. 8:00 p.m. – 10:30 p.m.
around after the unveiling for the hands-on premier of all new Clank gameplay. Listen in as Naughty Dog demonstrates the performance capture process for UNCHARTED 2 and discuss how they deliver the active cinematic experience. 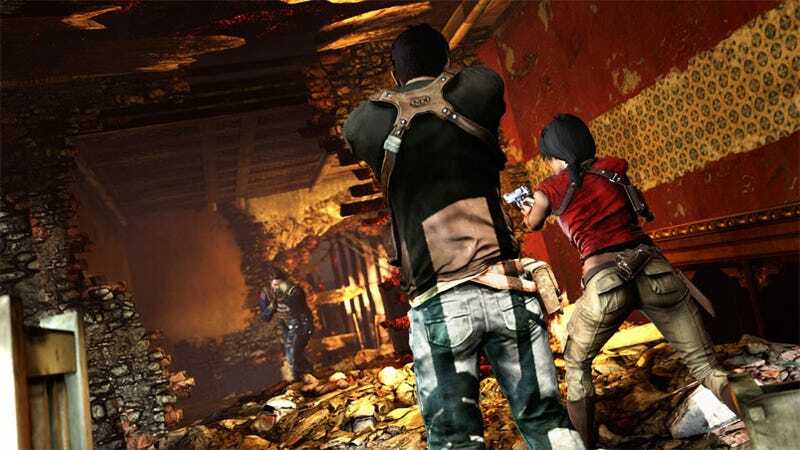 The panel will include a Q&A with cast members and Naughty Dog staff including: Nolan North, Emily Rose, Claudia Black, Gordon Hunt, Steven Valentine, Amy Hennig, Josh Scherr, Taylor Kurosaki. Following the UNCHARTED 2 panel, join the PlayStation team to go hands-on with our latest first-party PS3, PSP and PSN titles. Grab a cocktail, chat with developers and get hands-on with content from the show floor and additional software titles. Insomniac Games will be on hand to reveal behind-the-scenes stories about the development of this fall's PlayStation 3 blockbuster. Creative Director Brian Allgeier and other team members will reveal new scenes from the game, the latest trailer as well a new weapon feature.